Welcome to our 20th Season! New and Returning members! We are so excited to get organized for our 2018 season! The Community Garden Society started up in 1998, making this our 20th year! Come join us – plots still available! Info sessions don’t work for you? 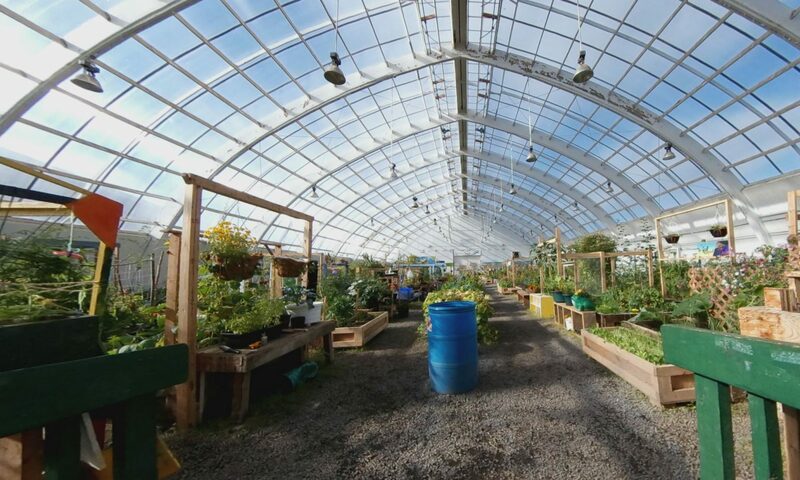 Contact Jenna at admin@inuvikgreenhouse.com to set up a time to meet with her to pay. You will notice only a few small changes this year. The first being that if you want to choose to not receive the information on the mandatory volunteer hours, you can pay in advance, and recieve a discount on the total price. And the second being that all mandatory hours must be completed by December 31, 2018 – so please ensure if you choose to work your volunteer hours, that your post dated cheque reflect this change and be written for January 15th, 2019. 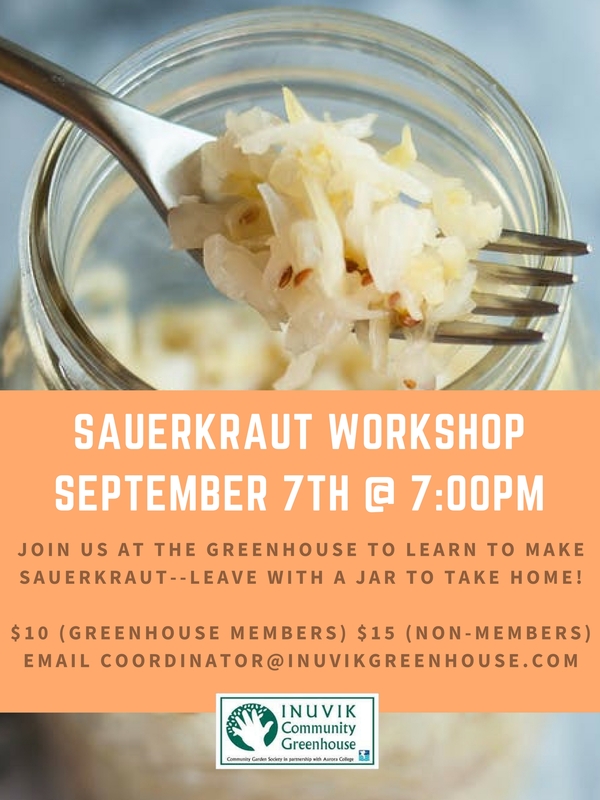 On Thursday, September 7th at 7:00pm we’ll be hosting a sauerkraut workshop at the greenhouse! 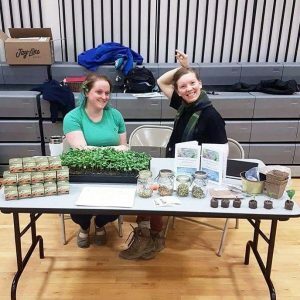 For $10 for greenhouse members or $15 for non-members, you’ll get to learn the process and take a jar home with you. Fermented foods are high in vitamins, enzymes, are probiotic, and very healthy for you! Email coordinator@inuvikgreenhouse.com to sign up. 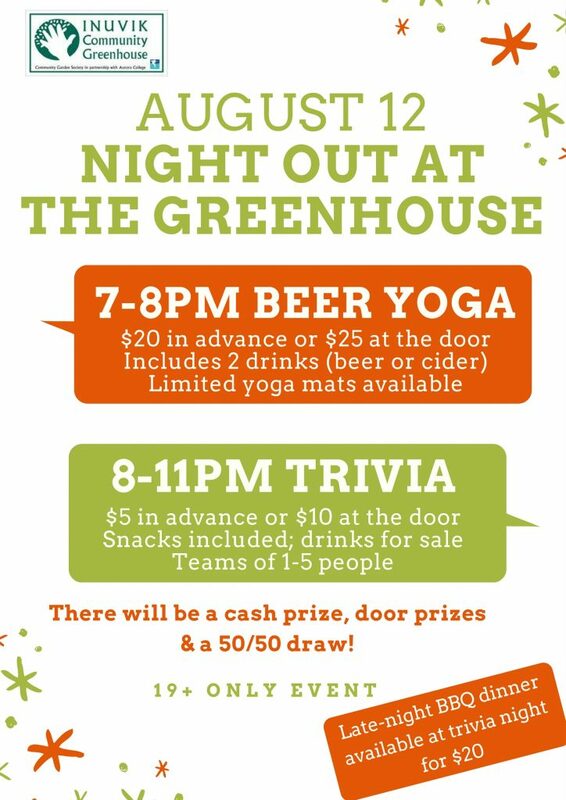 This month we decided to host a trivia night at the greenhouse, as well as beer yoga. 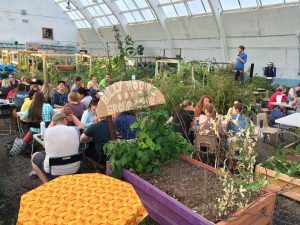 We had about 50 people come out for a “Night out at the Greenhouse” eager to spend their Saturday night surrounded by vegetable, fruit, flower plants, and friends. 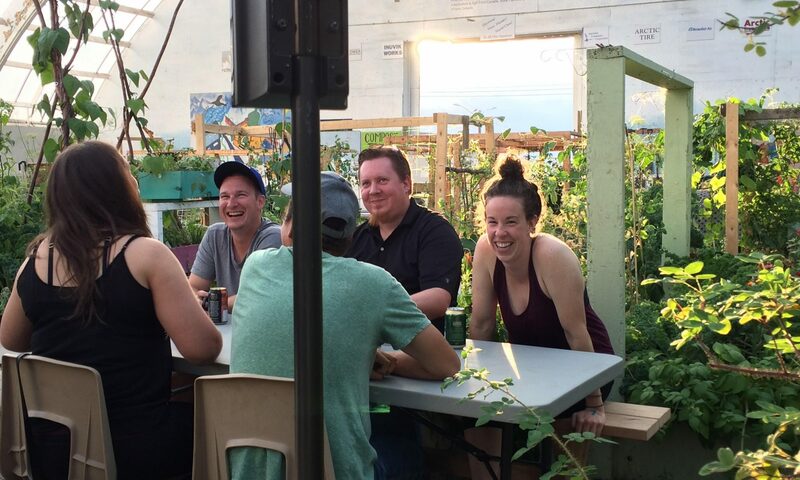 As a community greenhouse, we offer a space and programming for gardening, but we also are also fortunate to be able to offer a venue for community events, including our own fundraisers like trivia and yoga. 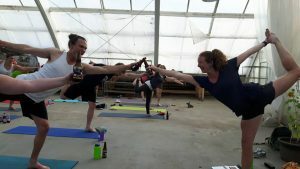 Kim Herle, one of our regular yoga instructors, decided to offer a beer yoga event, where each participant was given two drinks throughout the hour-long yoga session. Somehow the class ended in a sing-along, with one participant playing the ukulele while everyone else sang their hearts out. 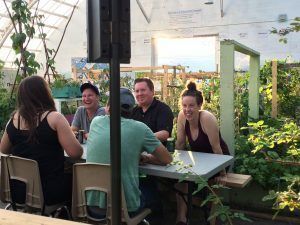 For those who weren’t ready for their night at the greenhouse to end, we had a trivia night downstairs, where teams of 4-5 tested their general and local knowledge. We had the help of some local groups to include a round on local trivia, with questions from Children’s First Society, Inuvialuit Communication Society, Environment and Natural Resources, Inuvialuit Regional Corporation, Aurora Research Institute, and more. 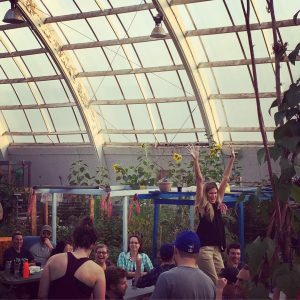 As the sun finally began to set around midnight, the greenhouse cleared out with people encouraging us to host more “nights out at the greenhouse”. 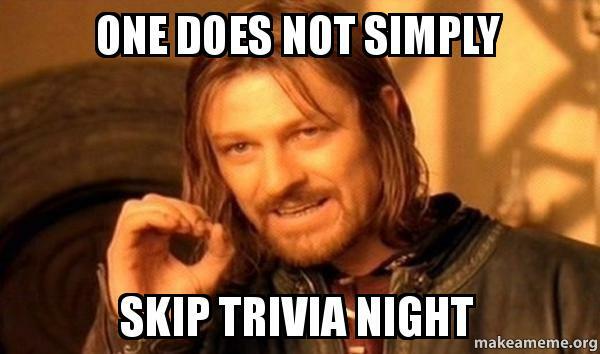 Entry is $5 in advance or $10 at the door and includes snacks and a chance to be the trivia victor! 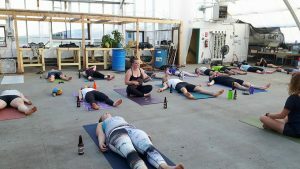 Bonus: if you go to beer yoga from 7-8pm you get free entry into trivia. Tickets for both events are now available for sale at the greenhouse from 9am-6:30pm. The BBQ dinner available for purchase will be BBQ chicken pesto, roasted potatoes, and a green salad. There will be a vegetarian option of a roasted veggie pesto pasta. Yum! More details are available on the Facebook event page. Hate to wait weeks/months for your plants to produce food? Then sprouting may be your answer! Come on down to Science Rendezvous today from 11-3 to learn about sprouting! We will be offering sprouting workshops throughout the summer, so watch this space. KrisCal on What IS that! ?